Soil is one of the most important components of a successful garden. To build healthy soil we recommend and carry a wide range of products. We are proud to offer a broad range of organic amendments to help achieve a healthy soil. Organic fertilizers differ from chemicals in that they nourish plants while building the soil’s structure. Building a healthy soil is the key to successful organic gardening. 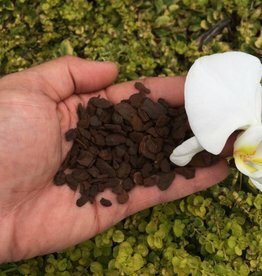 Orchistrate is our in-house premium pine bark orchid growing substrate for re-potting orchids - perfect aeration controls moisture, allows root growth and provides a stable foundation for your orchids.